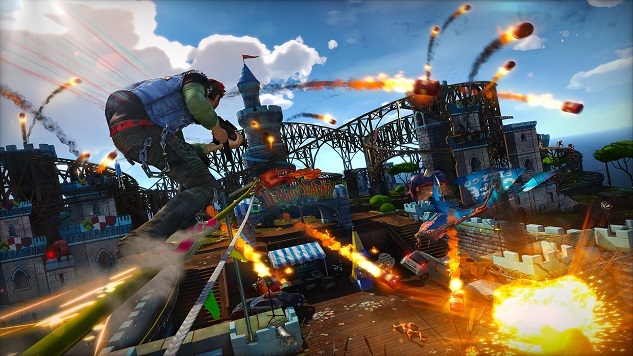 Is Sunset Overdrive Coming to PC? Videogame leaks are a funny business—they can come from anywhere. This time, the Korean Game Ratings Board has seemingly leaked the existence of Sunset Overdrive on the PC. The supposed leak comes by way of Twitter user Nibellion, who is known for posting some of the latest news, announcements and rumors. No official announcements have come from Microsoft, though a rough translation lists “Korea Microsoft Corporation” as the rating applicant. However, developer Insomniac has expressed interest in the past in seeing Sunset Overdrive on the PC, as well as a sequel to the game going multi-platform. we’d love for it to come to PC, though it’s up to Xbox on that one. Sunset Overdrive came out for the Xbox One in 2014 to generally positive reviews from fans and critics alike. It holds an 81 percent score on Metacritic nearly four years after its release. Most love the game’s traversal and vast variety of weapons, while some others felt the game’s aesthetic and characters to be too obnoxious for their own good. It’s possible we will get a confirmation whether this leak is true soon. Microsoft’s upcoming E3 press conference is set for June 10. While hearing about a sequel to Sunset Overdrive might be a little farfetched, especially considering Insomniac is currently working on Marvel’s Spider-Man, revealing the PC port is not out of the question.